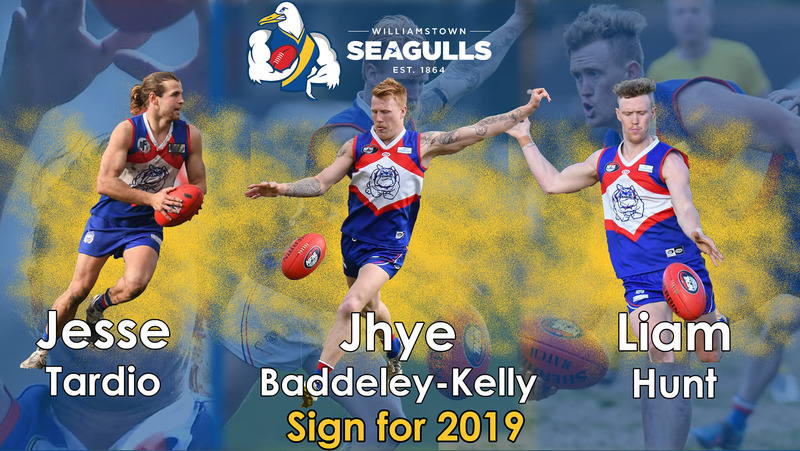 Williamstown Football Club is delighted to announce the signings of North Heidelberg trio Liam Hunt, Jesse Tardio and Jhye Baddeley-Kelly. 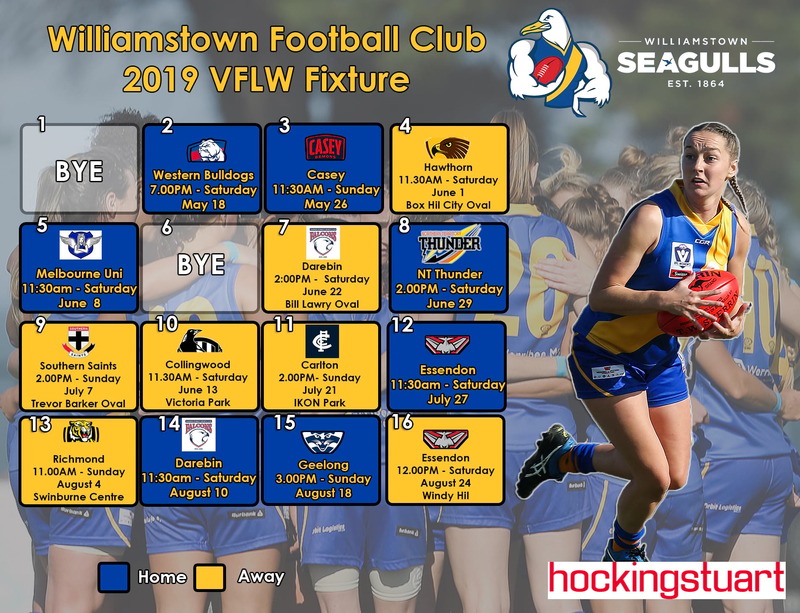 Our Williamstown VFLW Seagulls second season will commence on Saturday the 18th of May in a historic night game against the Western Bulldogs in the first of seven home games for our VFLW side. 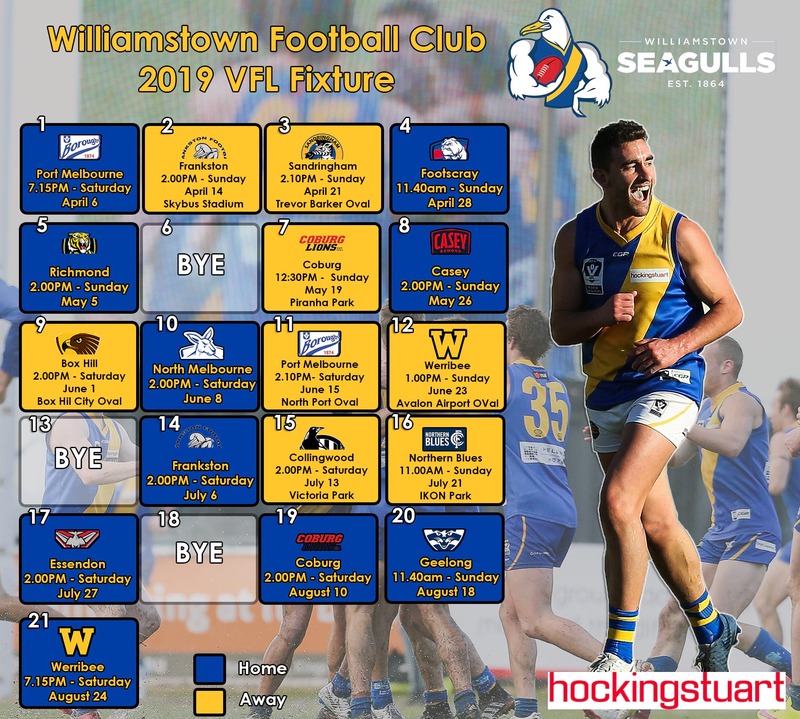 Williamstown VFL team will host 10 homes games in 2019, comprising six Saturday games and four Sunday games in which we will play some of the biggest clubs in the VFL. 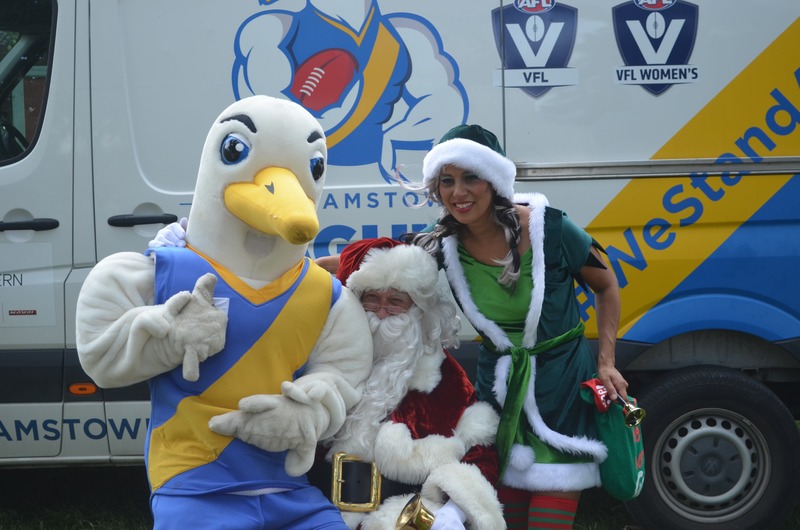 Williamstown Football Club were proud to be a part of Friday's Williamstown Christmas Night Market on Douglas Parade and Ferguson Street. 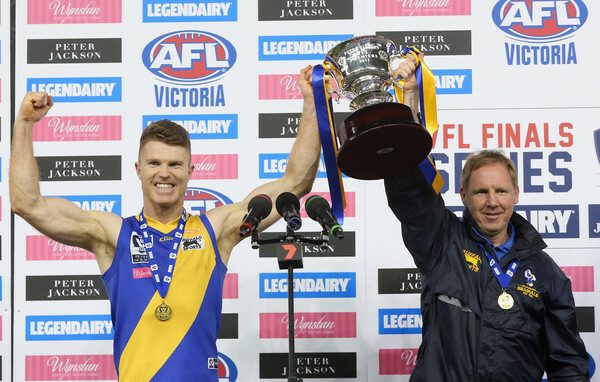 Williamstown Football Club’s 2015 Premiership captain and games record holder, Ben Jolley, has today announced his retirement from VFL football. 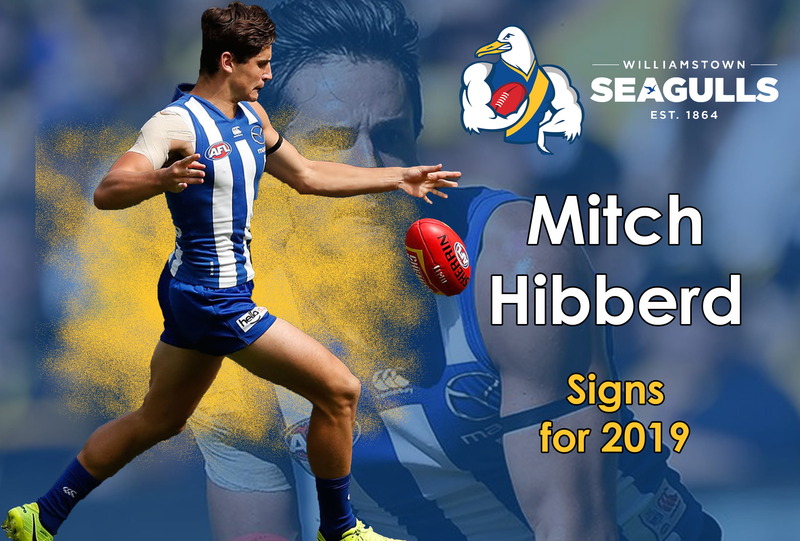 Williamstown Football Club can announce the signing of Western Jets duo Stefan Radovanovic and Madison Eve-Fenech to our respective VFL & VFLW lists. 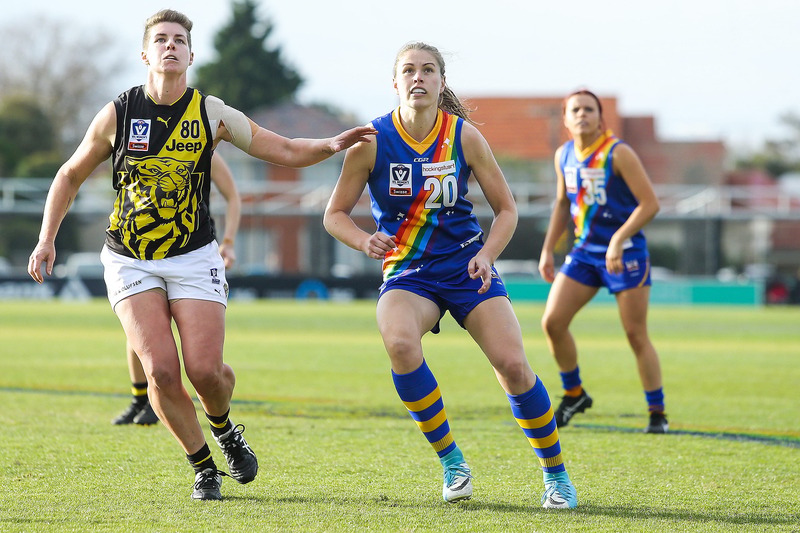 Williamstown Football Club can announce the VFLW re-signings of Erin Meade and Nikki Wallace. 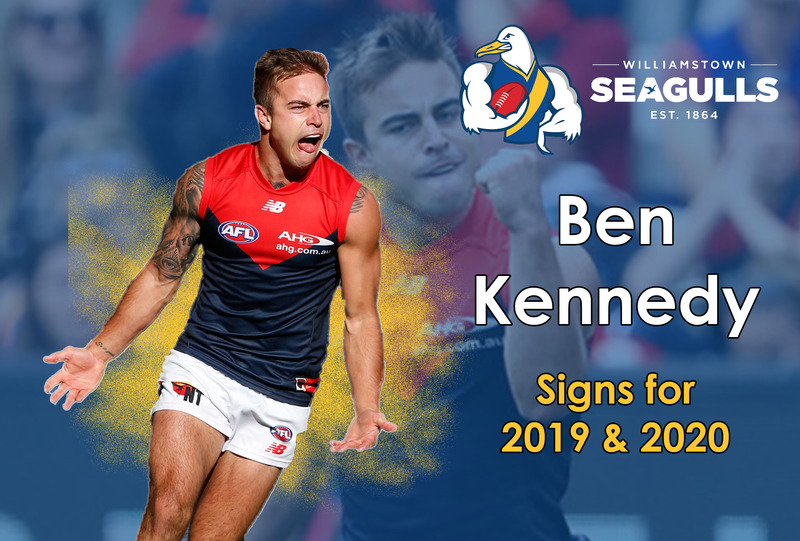 Williamstown Football Club is thrilled to announce the signing of former Collingwood and Melbourne forward/mid Ben Kennedy.